Driving under that sign was so thrilling- it was official. We were AT Disney World!! 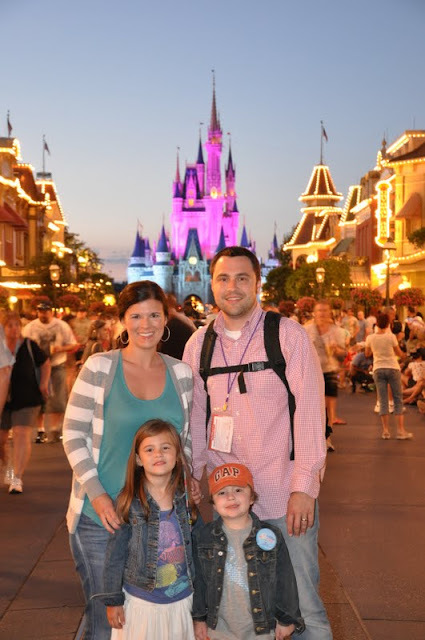 It most definitely, especially for us being there on a Make-a-Wish grant, is where dreams come true!......We headed to Magic Kingdom Monday evening after our day at Animal Kingdom. This picture is one of my favorites from the trip. We're on the ferry headed towards Magic Kingdom for their very first time. They just stood there together looking on with anticipation and awe. "Do you see it, Trippy?"...... "Yes, I see it Ruby. ".....silent amazement. But from the front view the smiles and excitement were quite apparent. We got there just in time to snag a spot to watch the parade. And then quickly headed to see fireworks but those good seats were already taken. We'd try it again another night. Ruby was still thrilled with the view from Fantasyland. We took advantage of it being late and most of the crowds being at the fireworks show. Most of the rides were nearly empty. and "It's a Small World." Though, if you ride "It's a Small World" you risk having the world's most persistent ear worm living in your head for months. I just now finally got that song out of my head. Aaaahhhh! I can't talk about it or it might return! 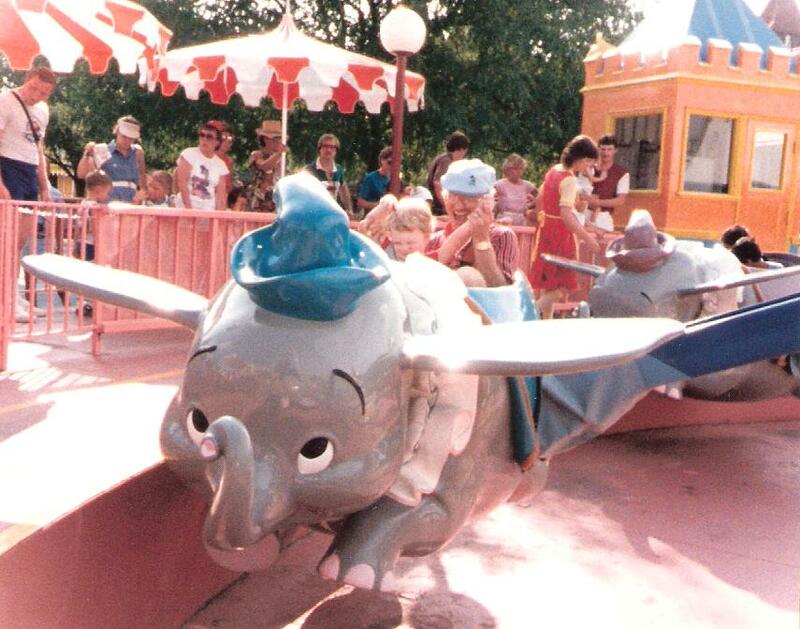 D-Daddy and Uncle Jer on Dumbo in 1985. Dad is rocking the Kangol hat! 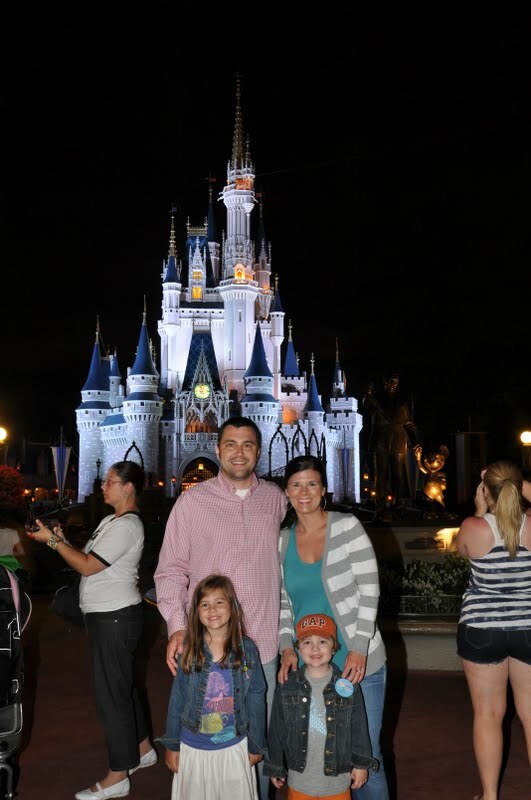 Will someone techy please photo shop these 2 random people from our family photo? We closed down the park and this little man was pooped!